Stocks in the S&P 500 traded in the tightest daily range since Feb. 2nd, but nonetheless finishing the day just inches above ground. The marginal gain extended yesterday’s 6.40% surge in the 500 stock index as speculation that Citigroup would be announcing much better than expected profits for the first quarter. Interestingly enough, JPMorgan Chief Executive Office Jamie Dimon echoed comments by his Citigroup counterpart, saying that his company would be profitable in January and February. 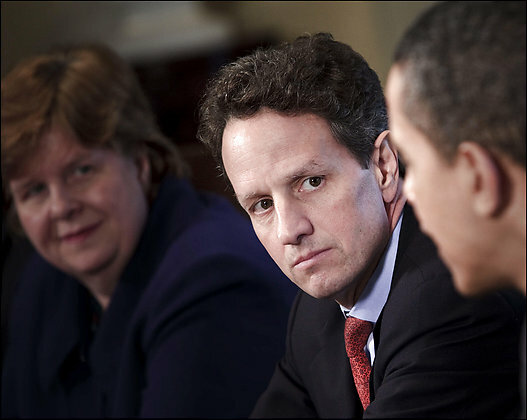 Indeed, Citigroup continued to jump, by 6.21% to $1.54. JPMorgan extended gains by 4.62% to $20.40. But the broad market didn’t react as enthusiastically as they had just yesterday. This may be due to the fact that Moody’s Investor Service stated that the bank, which bought Bear Stearns last March and Washington Mutual in October, would see its credit rating outlook slashed to ‘negative’ last week. Sector performance was mixed in the Dow with four slipping and five finishing the day ahead. The best performing one was the Financials, which rose 2.35%, while the worst one, Energy, slipped 1.69% after crude had its worst day since Mar. 2nd. The NASDAQ was the best performing index of the three major U.S. benchmarks, rising as much as 1.89% before profit-taking forced it down. Apple jumped ahead by 4.51% after it introduced a newer, smaller, talking iPod Shuffle that will sell for $79 Ebay also performed strongly, advancing 4.77% to $11.63 after the Silicon Valley-based company announced plans to expand the global presence of its PayPal online payment system. The S&P 500 traded in its tightest daily range since February 2nd after having its greatest day since early November. Financials were the best performing sector, advancing 2.40% as Citi and JPMorgan continued to surge more than 4.60%. The VIX volatility index dipped slightly, by 0.90% to 42.61 and marked the fourth consecutive session that the fear gauge remains under 50. “More than one out of every five dollars of the $126 million Massachusetts is receiving in earmarks from a $410 billion federal spending package is going to help preserve the legacy of the Kennedys. The International Monetary Fund (IMF) stated that the world is now suffering from a “Great Recession” that could trigger wide-spread poverty and civil unrest. “The global financial crisis, that might now be called the great recession, provides a sobering backdrop to our conference,” said IMF Managing Director Dominique Strauss-Kahn today. The institution, which was created after WWII, now “expects global growth to slow below zero this year, the worst performance in most of our lifetimes,” the managing director said. A global effort to alleviate the consequences of this global recession will not only benefit the incomes of those in the developing world, but will also help their residents remain safe. “this is not only about protecting economic growth and household incomes – it is also about containing the threat of civil unrest,” Strauss-Kahn added. “I urge partner countries to support me in this,” he also noted. “European ministers said on Monday they had no plans to add to recent fiscal stimulus packages despite calls from the US for radical expansions in government action to boost ailing economies. Obama Unveils Mortgage Plan, But Is That Good For The Market? Equity markets rallied in the U.S. and Europe and many are hailing President Obama’s mortgage plan as the reason for this bounce. But this may be quite a fallacy. 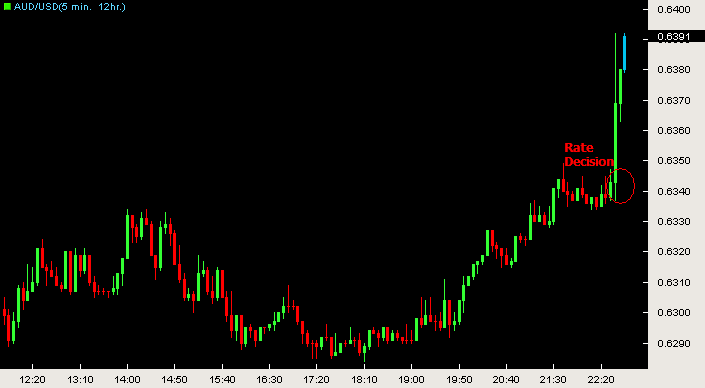 European markets rallied overnight before the plan was even unveiled. Much of this may have been due to new expectations that Chinese Premier Wen Jiabao is scheduled to add to the 4 trillion Yuan ($585 billion) stimulus package that had been announced last October. 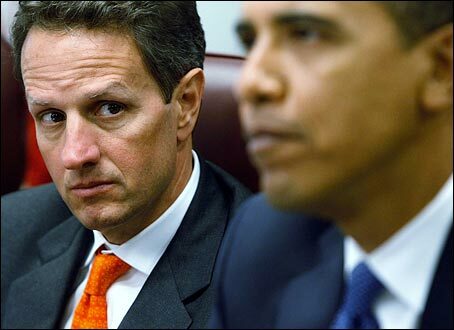 President Obama released his long-awaited mortgage plan only to see banking stocks plummet by -6.59%. This could have been because of the details the laid within the text of the document itself. It was revealed that only those whose home-loans are owned by either Fannie Mae or Freddie Mac would be eligible to receive help. However, there are many other banks that own substantial a substantial portion of the mortgage market that will not benefit from the bailout. Indeed, Wells Fargo led the slide with its 16% market share of mortgages outstanding. As such, today’s rally may only be temporary. Equities might continue seeing volatility. Currencies that are vehicles for risk-aversion may continue rallying. Australia’s economy contracted for the first time since 2000. It shrunk by -0.5% which was far more than the expected growth of 0.2%. This brings the economic growth rate in 2008 to 0.3% from 1.2%. Interestingly enough, over the last 5 days the expectation for Australia’s growth rate rose from 0.4% to 0.5% on the quarter and from 1.1% to 1.2% YoY. Yesterday, the Reserve Bank of Australia left rates steady for the first time in seven months, at 3.25%. Governor Glenn Stevens cited the superior performance of the monetary transmission mechanism as reason for holding off on further rate cuts. He stated that “demand has not weakened as much as in other countries” and that the “Australian financial system remains strong” because of the fluid nature in which end-users are beneficiaries of central bank liquidity easing. The Australian Dollar plummeted 45 pips against its U.S. counterpart in the seconds following the release of the data. Bank of America’s request for $20bn of government money to prop up its acquisition of Merrill Lynch was a “tactical mistake” that made the bank appear as weak as Citigroup, Ken Lewis, BofA’s chief executive told the Financial Times on Monday. The Reserve Bank of Australia held its overnight cash rate at 3.25% despite expectations calling for a 0.25% cut in the main policy rate. For the first time in seven months, the central bank left rates unchanged after an aggressive rate slashing campaign that began in August. Since then, the RBA has sought to prop the ailing south-pacific economy by easing liquidity. Throughout those seven months, the bank slashed the rate by 400 basis points from 7.25% to 3.25% in early February. Expectations, however, deviated quite substantially. Of the 18 economists that Bloomberg had surveyed, four called for the bank to hold the rate steady while seven expected a 50 basis point cut. The remaining seven favored a 25 basis point move down. The Australian Dollar jumped 48 pips against its U.S. counterpart in the seconds following the announcement. Interestingly enough, the pair also spiked just seconds before the rate announcement, implying that some institution was made aware of the decision BEFORE it was made public. Australian retail sales rose unexpectedly in the month of January. At 0.2%, the rise in sales aggressively overshot expectations of a -0.5% decline in the figure. Spending was bolstered by the government’s distribution of A$8.9 billion ($5.6 billion) in cash grants to families as a result of the stimulus package passed in late January. Prime Minister Kevin Rudd announced that they would continue distributing more cash. In fact, another A$12.7 billion will be sent to lower and middle-income families and individuals. The greatest gains in spending came in the form of eating out at cafes and restaurants. This sector of the overall metric rose 2.3%, but hasn’t shrunken since October. On the contrary, spending on household goods fell a substantial 4.0%, lending clues as to the underlying sentiment being felt among the public. That is, spending on durable (big-ticket) goods like washers, refrigerators, and television has probably also fallen. Furthermore, this could imply that people are reluctant to purchase such items because of the fear they may have over losing their house due to delinquencies in mortgage payments. The chart featured below, the Dow Jones Industrial Average from May of 1982 through today’s close presents two critical support levels using weekly data. Today’s closing price, 6,763.29, rests peacefully at the level formulated by the linearly upward trending support line, in beige, that began at the point at which the market began to rebound after the crash of 1987. The second one, in white, presents a longer-termed trend that I will dub the “down-side risk.” As one can see, should the Dow close below the beige support line on a single weekly basis, the index will likely crash all the way down to the white support level — around 5,900! That’s another 12.76% decline! 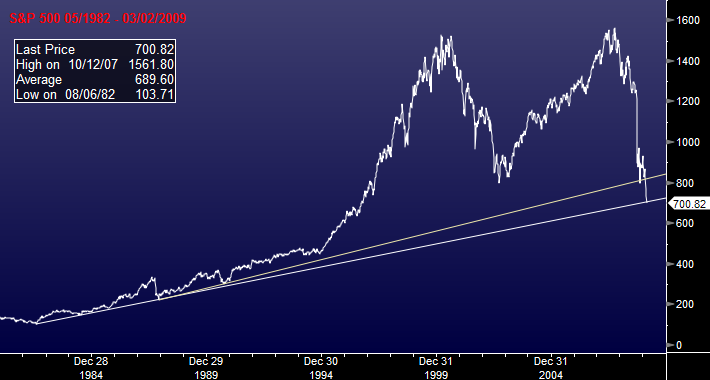 The S&P 500 chart, however, paints a more optimistic picture. 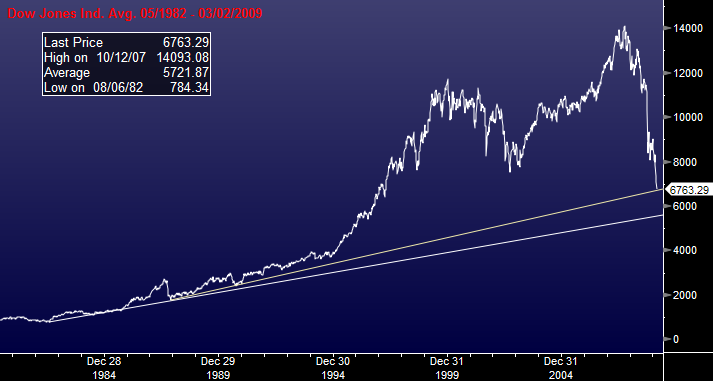 The two same support lines that are featured on the Dow chart are also drawn on the S&P one. However, it appears as though the S&P 500 has no alternate support levels that are presented at any point lower than that at which the index is currently located. That is, the index, at today’s closing price of 700.82 lies at what would be the equivalent to what I called the Dow’s “down-side risk.” Since the two indices have a correlation of .998, should the Dow crash through its current level then the S&P will likely plummet as well. But since the S&P has no lower visible support, the index can only, at the least, bottom out at this level — keeping the Dow at bay for now. Please keep in mind, that this analysis does not take into account the underlying fundamentals that have been driving equity markets and the overall economy.